The USC/UKRO Kidney Research Center (KRC) was named in September 2012 with a gift pledge of $3.5 million from the University Kidney Research Organization (UKRO), a Los Angeles based philanthropic group. Remodeling of the top two stories of the Mudd Memorial Research Building occurred in 2015 through support from the Keck School of Medicine, thereby creating the 5,000+ sq. ft of research & office space comprising the KRC, which opened in September 2015. The onboarding of the new KRC Director, Kenneth R. Hallows, MD, PhD, who is an internationally recognized nephrology physician-scientist, brought the center into operation. Since then, we have assembled a growing team of dedicated researchers, physician scientists, and administrative staff. More than 26 million Americans suffer from diseases of the kidney and urinary tract caused by diabetes, high blood pressure, congenital kidney disease, lupus nephritis, infections (such as HIV or hepatitis), drugs, cancer, etc. 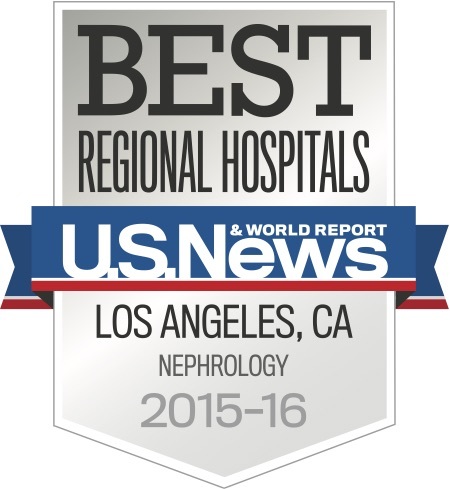 USC nephrologists provide state-of-the-art diagnosis and comprehensive care of all these conditions, as well as clinical and diagnostic approaches to disorders of minerals and electrolyte (such as sodium, potassium, magnesium, calcium and phosphate) and acid-base disturbances. The Division of Nephrology and Hypertension also has an extensive clinical research program that contributes to improving treatment options. 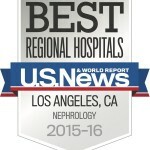 USC Nephrology features a complete range of dialysis treatments, including a program of continuous ambulatory peritoneal dialysis (CAPD) and continuous cyclic peritoneal dialysis (CCPD), as well as chronic hemodialysis therapy. Patients receive treatment and education at the USC-DaVita Kidney Center. Patients who require kidney transplantation are cared for by the highly experienced transplant team at Keck Hospital of USC. Each treatment has benefits and drawbacks. No matter which treatment you choose, you’ll need to make some changes in your life, including how you eat and plan your activities. Nevertheless, with the help of healthcare providers, family and friends, most people with kidney failure can lead full and active lives.